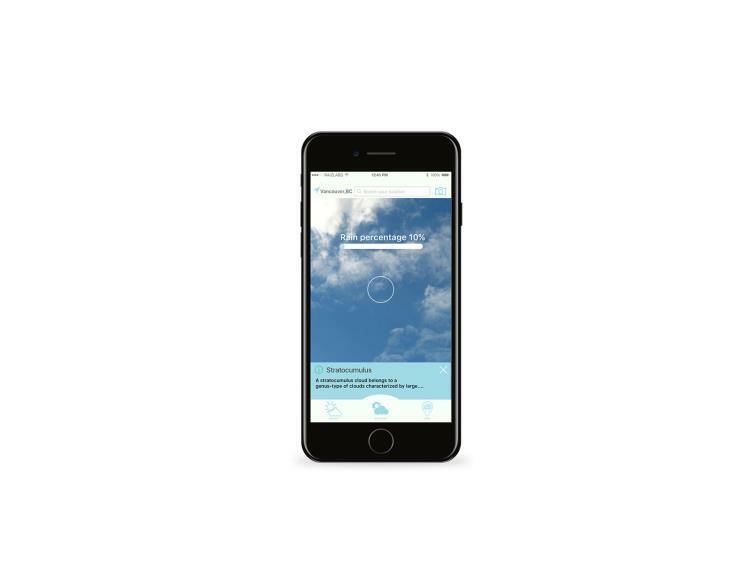 What this app does is to predict the clouds by using the camera on your smart phone to estimate the rain. 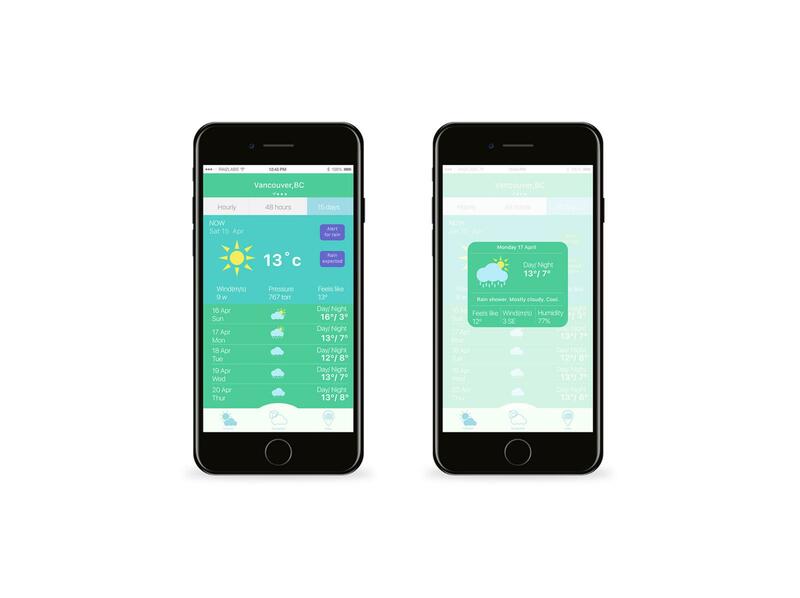 The app provides with a weather forecast section and cloud type information. The ideas are inspired from Vancouver weather because sometimes a weather forecast app or site is not accurate. The color scheme is based on a natural tone and has a friendly interface. The logo came from the shape of a cloud and the prediction symbol. This gives the user a sense to estimate different cloud types. 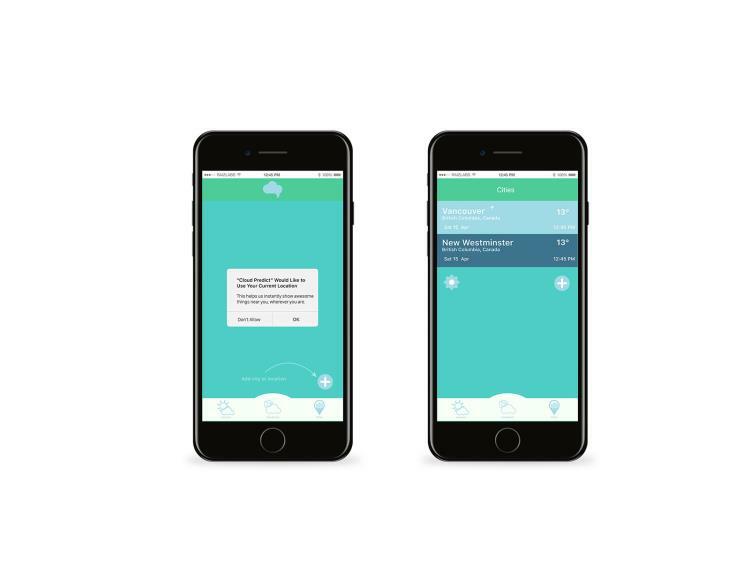 The challenge is to create an interface that will make sense for the whole app and is easier for users. The reason for the design choice is because the overall app relates to nature. Also, the user will find it eye catching and simple because the color creates a flat modern feel.